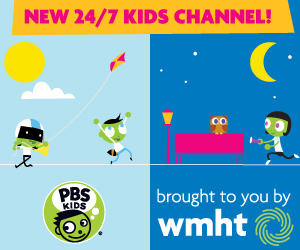 PBS KIDS launched a collection of new online and mobile games and activities from its newest media property PEG + CAT. The collection includes a new app: the PEG + CAT Big Gig App for iPad, Kindle Fire and other Android devices, in addition to online games and offline activities that families can enjoy together. A new series for preschoolers, PEG + CAT premieres on PBS KIDS in October 2013 and follows the adorable Peg and her sidekick Cat as they embark on adventures, solve problems and learn foundational math concepts and skills. The zany quandaries that Peg and Cat face happen in a variety of different worlds – from a farm to a distant planet, from a pirate island to a prehistoric valley, and more.